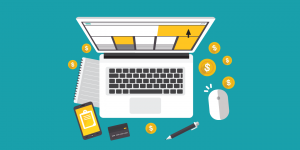 Most companies have a distinct online presence for a definite reason – to manage an online reputation. When someone googles your brand name, it is important to ensure that it’s not just your website that should pop up on the first page. Consider using the numerous social media sites that are available, such as Twitter, Facebook and LinkedIn, which will establish a solid online presence. And remember that being in the first search engine results is vital to your brand’s success, especially if it’s a common name. Considering the highly publicized failures of the past, there’s no doubt that there are severe consequences in not being able to handle a crisis online effectively. 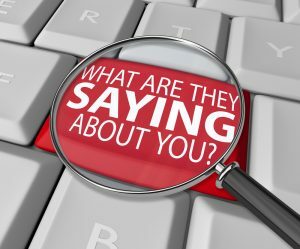 Whether it is handling customer complaints or even dealing with a lawsuit, it is of utmost importance to monitor online conversations at all times with the intent of defusing the situation as soon as possible. Most businesses understand how important it is to stay up to date with what’s being said about the company. In fact, the best way to do this is by using social media tools which make the overwhelming process of monitoring several social media accounts much easier. Better still, these social media tools will help you respond in real-time and turn negative situations into positive opportunities. Filed under Search Engines by publisher on Jul 22nd, 2012. With the number of social media networks that are popping up every other week, it becomes difficult for small business owners to know which social media site is the best for them as people keep moving from one site to the other. Rather than moving along with them, it’s best to begin with the notion that not every site will suit you. So, the best thing for you to do is to find out what these social media sites are used for and whether it will work for your business. The biggest advantage of using Facebook is that the conversation is all in one place, and customers get the chance to feel that way. This social media site is very visual, unlike Twitter, so making use of that would work well. In short, Twitter is about projecting what you company is doing to a large audience, much like being given a megaphone. You can not only communicate with customers but also create a brand with consistent updates. This social network is not ideal for self-promotion but might be useful to small businesses for the ability to create pinboards that might win the plaudits of customers if you are able to able to build visuals for the purposes of branding. Location-based social media services might not work for every small business as it requires people to physically visit your store or an event. This social media network is actually good for restaurants, retail stores and venues. Of course, as for online businesses, this site will be useful only if you are hosting an event. Filed under Social Media by publisher on Jun 12th, 2012. 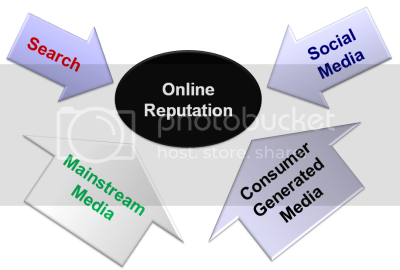 It is almost certain that at some point or the other, every business will face some form of reputation crisis online. It is worse when you do not expect the attack. Your business is smoothly running along, and then suddenly sales fall off a cliff. Further investigation shows that there is a negative review that is ranking above your sales page and spreading on social media. It really could happen to you. Every company believes that they are immune to such reputation issues. Unfortunately, they do not realize the damage an attack can cause until it is too late. The good news is that with proactive reputation management, you can protect your company against any future reputation issue. Website – The first and most important item on the list is to have a website. Without a website that is the official home of your brand, negative items will rank freely. Optimize the site and content for search engines and get as many links from businesses that can convey a sense of authority. Business presence – Establish a presence on all social media platforms. It helps to register early and prevent any other party from taking the official name. Cross promote the content on your website on the social media platforms and engage with customers as much as possible. The list of social media properties includes LinkedIn. Setting up the above recommendations isn’t a guarantee that you will not fall prey to negative content online. However, it does give you the tools and authority to combat attacks on your reputation online. Filed under Reputation Management by admin on Aug 26th, 2018. The multi-front way between Amazon and Google will intensify in 2018. Amazon is building an advertising portfolio so it can challenge both Facebook and Google with programmatic ads in the display and video markets this year. Amazon already competes with Google product search and will eventually pull ahead thanks to the increasing number of searches on the retail giant’s website. Google, on the other hand, has several products in the works that aim to hit Amazon at different segments. Voice search will take a leap in 2018 with proper full sentences in both questions and responses. Google has the upper hand with the technology buy Amazon still has a larger presence in the household. Amazon has a sizeable lead in the home smart speaker market, both regarding units sold, and third-party support for Alexa. The dark horse will be visual search, with products like Google Lens and Pinterest Lens potentially driving sales for both companies. Amazon and Apple don’t have a competing product yet, which puts Google especially, potentially several years ahead of its rivals. The way we work will change with the increasing use of artificial intelligence and machine learning. More and more tasks in paid search will use automation driven by machine learning. The shift toward intelligent automation will make paid search managers lives easier, opening up more time to focus on other efforts. Filed under Social Media by admin on Jul 26th, 2018. 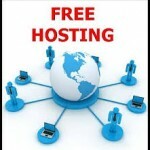 There are a lot of free web hosting services. Some of them are ad supported, other provide basic resource and require you to upgrade to a paid service at certain levels of server load. All of them share the same basic concepts you will need to know. A certain amount of disk space will be given. Unless your website is geared towards the use of large files and images, you will never have to worry about exceeding your disk space allotment. Bandwitdh is used every time a visitor to your site loads a page and/or an image. This is usually where the free hosting services impose their limits. If your website grows, your bandwidth usage will increase in proportion. Once you hit your bandwidth limit, the host will most likely temporarily shutdown the site until the next month or you upgrade the package. FTP, an acronym for File Transfer Protocol is how you transfer files to and from your website. Using an FTP client you can connect to your FTP server using your account and upload your files. Alternatively your hosting account panel should also have a method of uploading files using a web browser. For those that don’t want to or can’t create their own websites, a lot of hosts come with free website creators. Choose a template, enter some content and the website is created for you. These templates tend to be standard with the premium templates available at a price. Every hosting account free or paid comes with its own email addresses. These can be mailboxes on the server with your account name or they can be forwarders. A Forwarder sends any mail to that address to another email address of your choosing. Filed under Web Development & Hosting by admin on Jun 22nd, 2018. Half of the respondent say they made a purchase after watching a branded video and a third day that video made them consider the purchase. A staggering 81% of people say they interact with brands on social media, and about half do so through the branded video. A third of all respondents rated video as their top choice for looking up branded content. 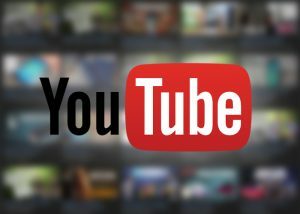 Getting your videos ranked higher requires a constant stream of new content. It is the best way to go up the rankings and get more subscribers. Watch is very important and is one of the biggest signals that YouTube uses to measure user engagement. Do some research on what your competition is doing before you create your video and make sure that your metadata is better. Make sure to do all this before you upload your video as the first 24 hours after you upload is crucial to getting a better rank. Filed under Internet by admin on May 27th, 2018. As skills go SEO is easy to get started in but very difficult to master. The basics can be mastered in a few hours to a few days depending on how far you are willing to go. This will involve on page optimization, quality content, link building and social media management. These are all critical to a basic SEO strategy and will hold most sites in good stead. Experience SEO practitioners on the hand will want to take it a little further. This is where some advanced SEO tactics come in. The good news is that there are plenty of those and here we will focus on probably the easiest and most bang for buck tactic: Site Speed. This is probably the easiest to implement out of all the advanced techniques. The first thing to do is to set up a caching plugin for your CMS. Every popular CMS has one and is very easy to setup. You can also take it a step further and use a CDN to host your content worldwide but that can be costly and sometimes unnecessary. There are also free alternatives like Cloudflare. Compress and minify as much as possible, the smaller the files, the less the compression and caching will matter. Optimize the images as much as possible before uploading. None of this will do you much good if your hosting provider is running slow servers or has poor internet connectivity. Compare good hosts and decide on what the best performance that is affordable. As with any campaign, a little bit of tweaking goes a long way. Filed under SEO by admin on Apr 30th, 2018. Any serious business should try and get the .com domain for their business. Users still trust the .com domain more than other top level domain. In some cases, users are not even aware that other top level domains exist. When the .com is not available, pick one where there is a chance that you could bid or buy it in the future. Try and incorporate keywords into the domain/business name. While this is only possible when you start a new business, there are situations where companies create a new product to use a different domain. 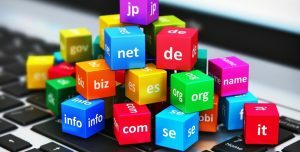 Using this technique, you can have one name and domain for your company, and get the best domain name for your product. Avoid current trends for domain names. One example of a trend is the WEB2.0 phase, where everyone was looking for domains without the last vowel. Those domains are no longer in demand and most of the sites registered during that period no longer exist. Pick a domain name that suits your site and your brand. Filed under SEO by admin on Mar 29th, 2018. Your approach to international SEO will vary by industry and in some cases you will not need to do anything other than a standard SEO approach. Often, organizations that focus on a niche can get away with a single top-level-domain and one set of content to cover domestic and international SEO at once. Another option is to use a country specific domain for each country you want to target. However, the problem is that unlike the subfolder method above, your country domains will not get automatic authority from your main domain. You will need to build authority and get backlinks for each of your country domains. Before you look at international SEO, explore all the options and find which approach is the best for your organization’s vertical. Filed under SEO by admin on Feb 15th, 2018. Yelp Mediation - Remove your negative reviews from Yelp. Pagerank Checking Tool - Check your Google PR value.